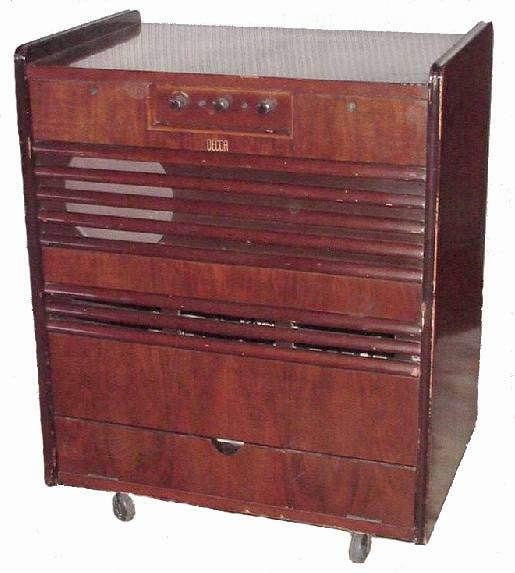 The Decca 1000 projection set from 1952. 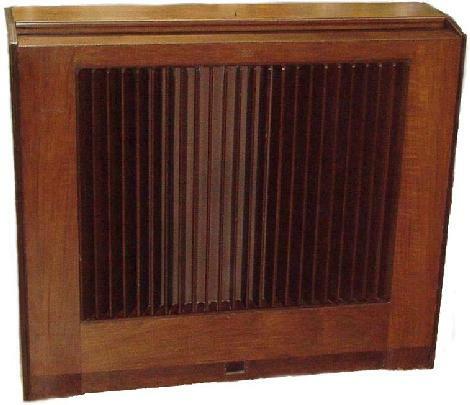 This English set uses a Mullard optical projection unit with an MW6-2 CRT. 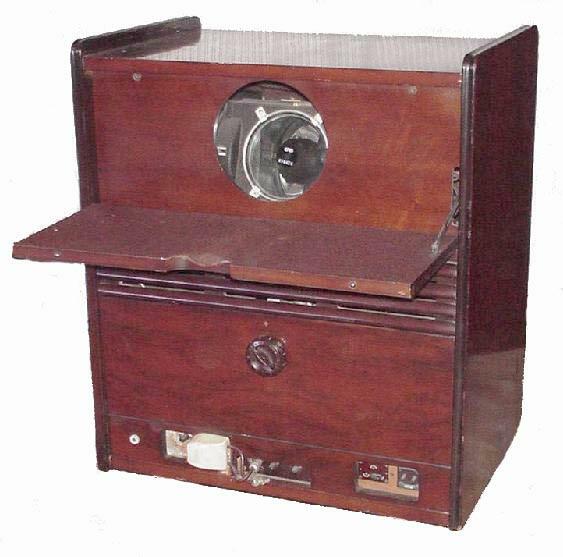 It is very similar to the Norelco (Protelgram) unit used in the Emerson & other projection sets. 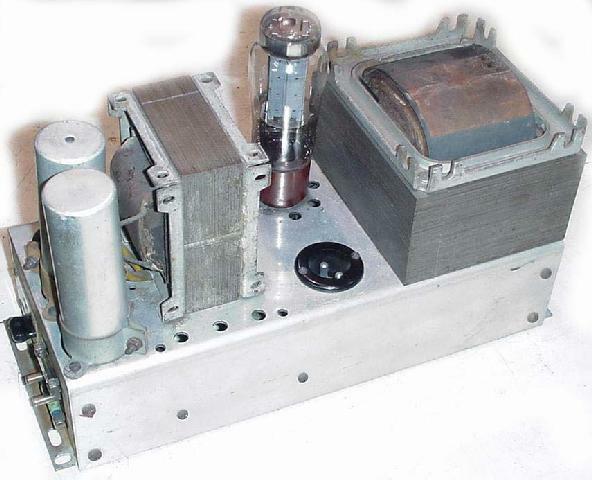 This unit has been modified with a 12 channel tuner, originally the RF unit would have had either a single-sideband Superheterodyne suitable for all channels or a double-sideband Superheterodyne suitable for London transmissions only. 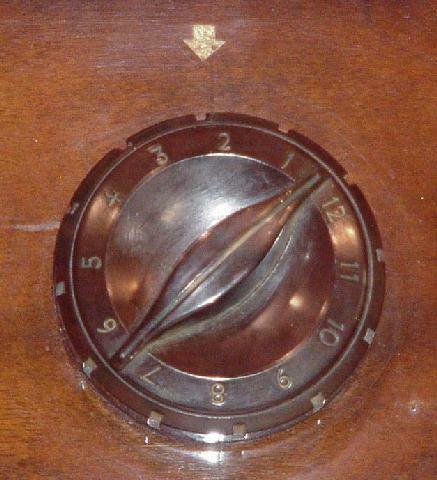 This set was brought over from England by the original owner and probably modified at that time for use on US standards. 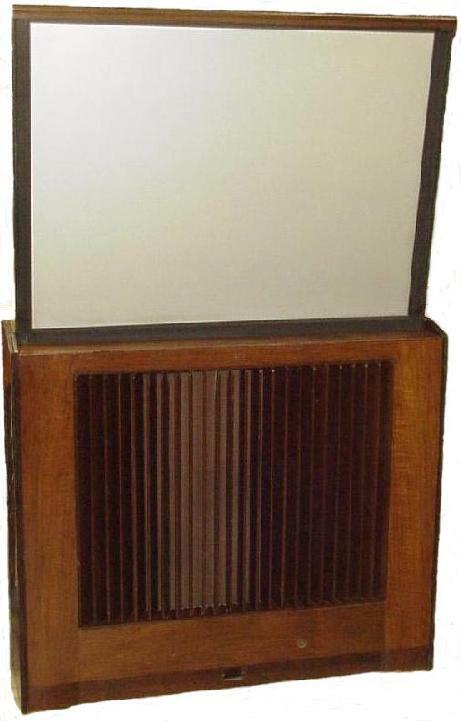 The screen unit for the Decca TV is 4' x 3' and contains three 8" speakers which connect to the main unit by a cable. The silvered screen is spring loaded, the height is about 6' 8" when extended. The complete TV chassis. 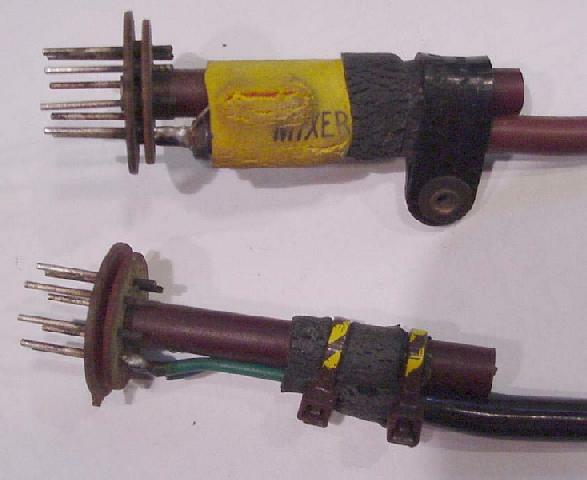 The coloring on the RF brackets (black) signifies that this was originally a London double-sideband RF unit with 13Mc IF. The modification for the 13 channel tuner plugs into the empty tube sockets. 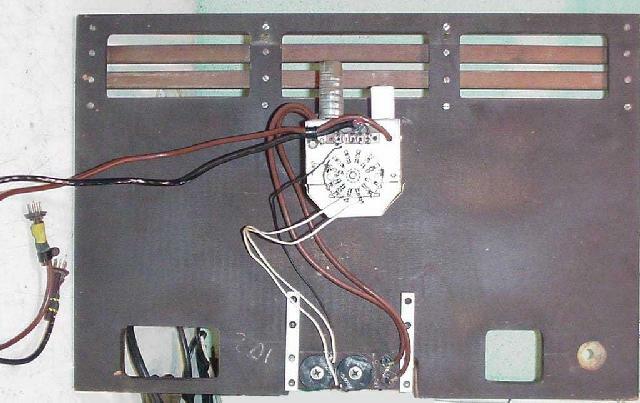 The low voltage power supply, setup for 200-240vac input. 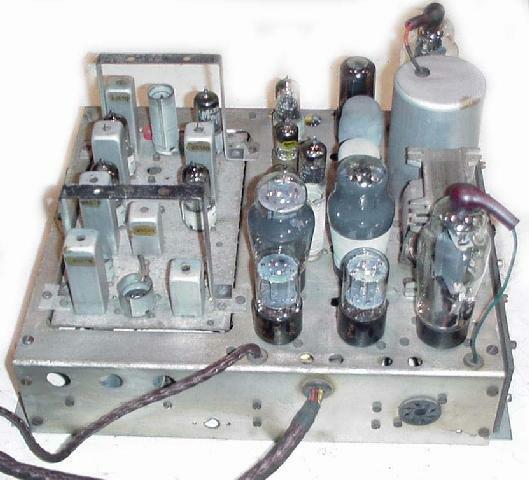 The 13 channel tuner modification, the 9-pin cables plug into the RF unit. The controls on the bottom of the panel maybe gain adjustments, one for high band, one for low band as the input to the tuner is split.